Was Khashoggi more than a writer and activist? A recent article published by The Washington Post seems to reveal that there was more to Jamal Khashoggi than initially suspected. The journalist and Saudi national was allegedly murdered by the Saudi Arabian government at a consulate in Turkey during October 2018. After his disappearance, contradictory accounts regarding his identity were disseminated by the media and among Washington elites. New information has potentially revealed another layer of who Khashoggi was, and the true nature of the objective he was pursuing. But more importantly, this case also demonstrates the often-overlooked role that information warfare is constantly playing out in American society. In the wake of Khashoggi’s disappearance, he was widely portrayed as a moderate reformer, a crusader for equality and human rights. He was an activist who had emigrated and who stood against the apparent corruption of the Saudi Arabian government by writing scathing pieces in The Washington Post, excoriating the country’s leadership. Journalists, leaders, and politicians used his death to pressure the Trump administration to take action against Riyadh and the House of Saud royal family. But it appears there may have been more to Khashoggi’s crusade than was presented to the American public. According to The Post’s recent article on the journalist, he was working with an organization supported by the Qatari government. 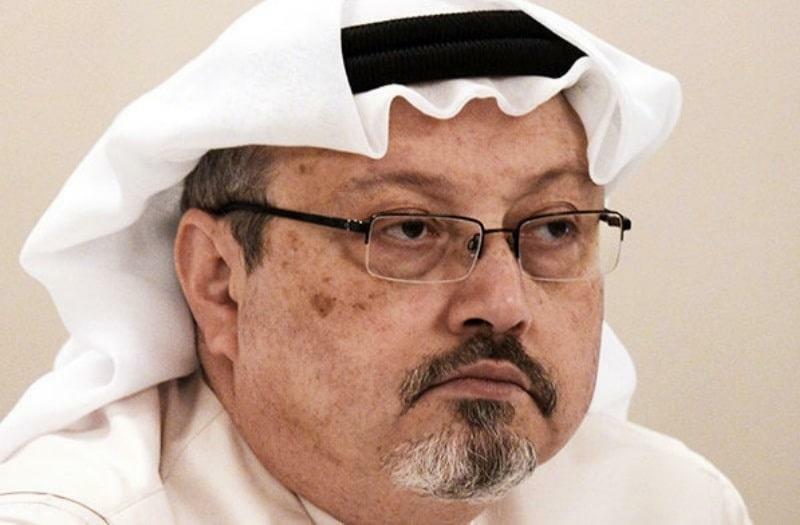 “Text messages between Khashoggi and an executive at Qatar Foundation International show that the executive, Maggie Mitchell Salem, at times shaped the columns he submitted to The Washington Post, proposing topics, drafting material and prodding him to take a harder line against the Saudi government,” the paper reported. Of course, the Qatar Foundation denies that they were paying Khashoggi to produce content critical of Saudi Arabia’s government. But the Security Studies Group (SSG), a think tank that deals with counterterrorism and national security issues, has found that Qatar might not be telling the truth. In a piece written for The Federalist, Jim Hanson, president of the SSG, states that sources have informed the group that “documents showing wire transfers from Qatar” were discovered in Khashoggi’s apartment in Turkey. These sources claim the Turkish authorities quickly hid the documents to conceal the alleged collusion between the journalist, Turkey, and Qatar. It’s worth pointing out that nearly all of the details relating to Khashoggi’s death were provided by Turkey’s government, which is no friend to Saudi Arabia. According to Hanson, it is possible that Khashoggi may have violated the Foreign Agents Registration Act if he created propaganda for Qatar’s government without filing the appropriate paperwork with the United States. One only has to look at the legal troubles of General Michael Flynn and Paul Manafort to understand the gravity of such a revelation. People who pay attention to news and politics are aware that various players are attempting to influence policy and society through the media and other communication methods. But audiences don’t always recognize the deeper forces behind the information that is circulated on our airwaves. It seems possible that Qatar was using Khashoggi – and possibly others – to launch an information warfare campaign against Saudi Arabia. After the journalist’s death was confirmed, many Americans urged President Trump to cut ties with Saudi Arabia over the kingdom’s human rights record– was there was a concerted effort to use Khashoggi’s murder to drive a wedge between Washington and Riyadh? Qatar has been in the midst of a diplomatic conflict with Saudi Arabia, plus it is a strong ally of Turkey and has been strengthening its ties with Russia and Iran, two countries that are often at odds with the interests of the United States and Saudi Arabia. In light of this, it makes sense that Qatar’s government would seek to undermine diplomatic ties between Trump and the up-and-coming Saudi leader, Crown Prince Mohammed bin Salman, who many blamed for Khashoggi’s killing. This story demonstrates the importance of questioning the sources of the information we consume. Many may have read Khashoggi’s pieces in The Washington Post and assumed that he was a simple activist fighting against the tyranny of the Saudi Arabian government. This may be true, but it does not tell the entire story. If the recent allegations are true – and the evidence is compelling – it would appear that Khashoggi was more than an activist; he was an agent of a foreign government, fighting in an information war on behalf of Qatar. Not only that, but he was formerly associated with the Muslim Brotherhood, an organization which has spawned multiple radical Islamic terrorist groups including Al-Qaeda. To be fair, The Post claims that they did not know of Khashoggi’s alleged connection with the Qatari government, and there is no evidence proving that they did. However, the notion that actors working on behalf of hostile governments could use major U.S. news outlets to disseminate propaganda is disturbing. Americans already have to sift through screeds of deceptive stories published by these outlets which seek to promote a left-wing agenda; the reality that consumers must also account for the possibility that foreign governments might manufacture U.S. news makes it even more difficult to discern fact from fiction.